When Prime Minister Atal Bihari Vajpayee went to Srinagar in April 2003, he made a grand gesture to Pakistan. He had declared, "We are again extending the hand of friendship, but hands should be extended by both sides." With a single statement, Vajpayee swept away the negativity surrounding India's position on Pakistan, offered a dialogue on Kashmir and did away with the impression that New Delhi had no desire to engage Islamabad. 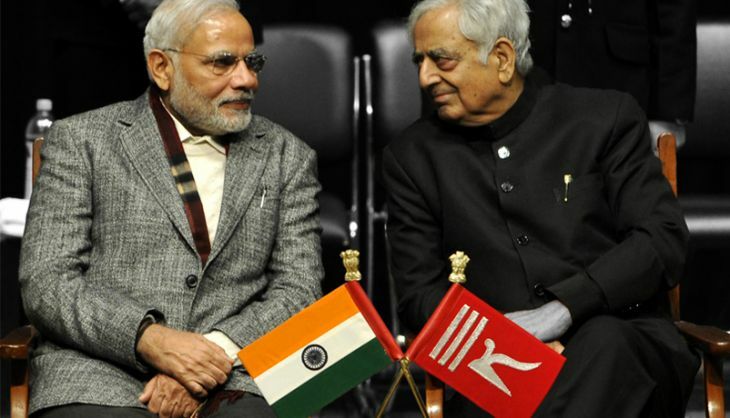 Mufti Mohammed Sayeed, the chief minister of Jammu and Kashmir, is half hoping that Narendra Modi would also make a similar grand gesture when he visits Srinagar on 7 November. Modi's Pakistan policy up to now has been inconsistent. In dealing with states, Modi has generously offered special financial packages. But they have often not come to much as the recipients realise that more often than not, the assistance is just a re-packaging of old government schemes. No doubt a substantial financial package to spur growth in Kashmir and to deal with the after-effects of the devastating floods of a year ago, would be welcomed by the Mufti government. However, to change the mindset of the Kashmir people about his government, Modi will have to show them some light at the end of the tunnel - a promise of long term improvement in their lives. Without compromising India's position either on the outstanding issue of Jammu and Kashmir or on Pakistan-sponsored terrorism Modi can make an overture to Pakistan. A series of steps could be initiated that would create the conditions for restarting a dialogue with Pakistan. A model for this was proposed by a three-day deliberation by 50 Kashmiris from both sides of the Line of Control (LoC) in Srinagar from 27 to 29 October. This was the 17th such dialogue organised by Delhi-based Centre for Dialogue and Reconciliation. There were11 delegates from Pakistan occupied Kashmir (PoK). These are the list of easy confidence building measures or CBMs - proposed by the Kashmiris themselves. 3. Expand cross-LoC travel beyond divided families to all the state subjects of erstwhile Jammu & Kashmir. Simplify documentation and ease of travel procedures for cross-LoC travel. 2. Convert the present system of barter trade into trade based on currency and banking systems. Alternate currency Unit (ACU) is already available between India and Pakistan and that can be implemented for LoC trade as well. 4. Improve infrastructure at crossing points with full-body truck scanners, communication facilities, provide guest houses and meeting halls at trade facilitation centres where meetings can take place regularly. And, set up a dispute resolution mechanism for the traders of the two sides of the LoC. 5. Issue multi-entry time bound permits to traders to take part in marketing, trade fairs etc. 1. Propose the setting up of hydrological, meteorological, seismological and Geographic Information Systems (GIS) Centres on both sides of the LOC. 2. Offer to share hydrological, seismological, meteorological and GIS data between the two centres. 3. Offer a dialogue process between the public representatives of all 5 parts of the state (Gilgit-Balitstan, PoK, Jammu, Ladakh and Kashmir Valley) to collaborate on evolving a joint disaster response. 4. Propose opening of crossing points on the LOC in times of disaster for improving relief and rescue. 5. Prepare and share a directory of trained disaster managers/professionals on both sides of the LOC and allow free movement of these experts across the LOC in times of disasters. None of these steps would compromise India's claim on Kashmir. They will also not lead to resolving the Kashmir issue. However, they will certainly ease the problems of divided families, divert youngsters towards trade and business rather than extremism, enhance contacts between people on two sides of the international border and the LoC in J&K and reduce 'the friction between history, geography and politics in Jammu and Kashmir'. Editor of Catch News, Bharat has been a hack for 25 years. He has been the founding Editor of Mail Today, Executive Editor of the Hindustan Times, Editor of The Telegraph in Delhi, Editor of the Express News Service, Washington Correspondent of the Indian Express and an Assistant Editor with The Times of India. 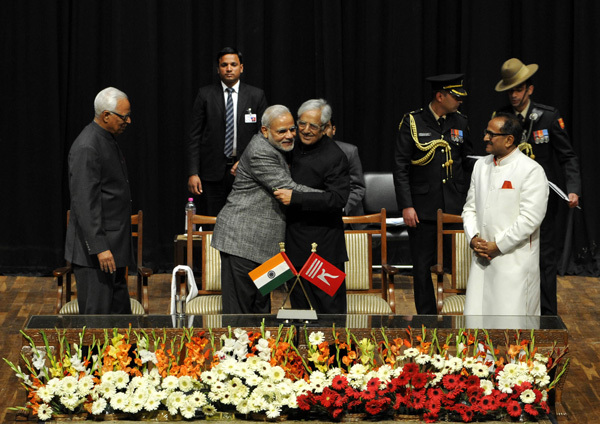 #PMVisit: Mufti desperately needs Modi to do a Vajpayee. Will he oblige? 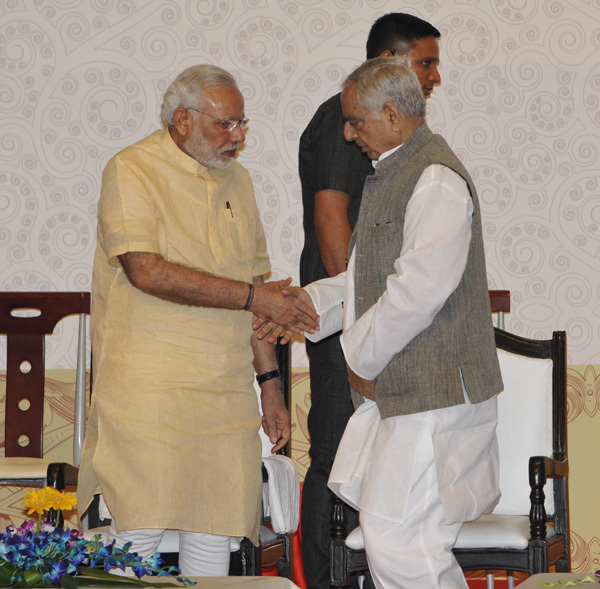 READ NEXT >> #PMVisit: Mufti desperately needs Modi to do a Vajpayee. Will he oblige?